Fred Ott is a native Californian who was born and raised in Manteca in the Central Valley. In many ways, his background has made him an excellent choice to work on the World Gold Panning Championships taking place in September, 2016. Fred and his wife, Susan, are current residents of Shingle Springs right here in Gold Country. Fred graduated from U.C. Davis in 1972 with a degree in mathematics and then served with the 101st Airborne Division as an Airborne Ranger. Upon returning to California in 1978, he became a State Farm Insurance agent and located his office in Cameron Park. He has been an active member of the community and has served as President of the Shingle Springs-Cameron Park Chamber of Commerce. Fred joined the El Dorado County Mineral and Gem Society several years ago and developed a strong affection for the organization and what it does. He has served as President three times and also served as President of the California Federation of Mineralogical Societies in 2010-2011.Â It was his activity in the El Dorado County Mineral and Gem Society that eventually led to his involvement in the upcoming World Gold Panning Championships. The El Dorado County Mineral and Gem Society usually has its annual Rock and Gem Show each October at the fairgrounds. 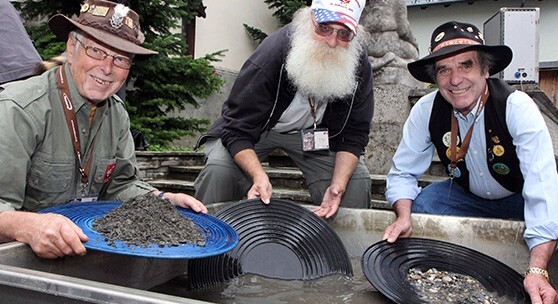 Fred’s first task was to join with Fuzzy and Joyce to see if they could get the show dates changed to coincide with the Gold Panning Championships in September. They approached the Executive Committee of the California Federation of Mineralogical Societies which enthusiastically accepted their proposal to host a show and convention that will take place during the last three days of Gold Week: September 16th through the 18th. 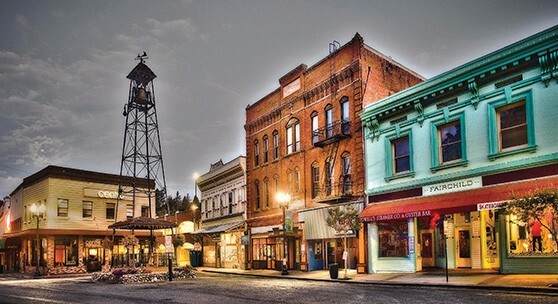 Fred has enjoyed watching the excitement build as various organizations and communities in the county have â€œjumped on board to capitalize on the event now known as Gold Week: Georgetown is hosting Divide Gold Rush Days, M.O.R.E. 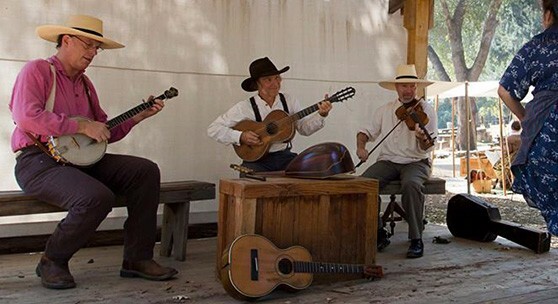 is hosting the huge Car Show and Chili Cookoff at the fairgrounds, the El Dorado County Office of Education is hosting a 2-day Mini Miners Event, the Placerville Downtown Association is conducting the Parade of Nations. 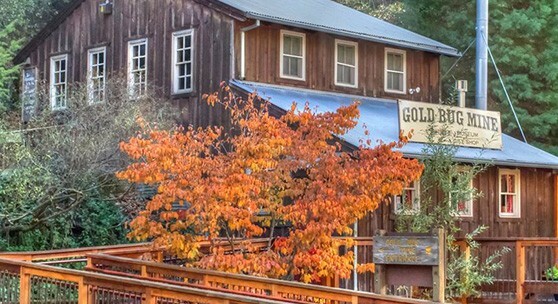 From Pollock Pines to El Dorado Hills, activities are now scheduled county-wide throughout Gold Week. While Fred is not currently an active gold panner, he will likely participate in this year’s competition since it is right here in his back yard. He has helped Fuzzy and Joyce in some training and especially enjoyed seeing the kids trying their hand at panning. Initially, they aren’t very proficient at it; but, with some effort, their faces lite up when they find the gold in the bottom of their pans. 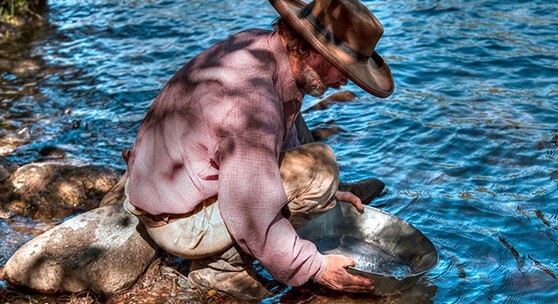 Fred has often commented on the talent and creativity of everyone who has contributed to the Gold Panning Championships and is proud of several suggestions he made that were incorporated into the event, from the naming of Gold Week to suggesting that the famous Georgetown Hotel have a signature drink for the event that could be used as a great marketing tool in the future. He is also responsible for the creation of the commemorative U.S. postage stamp that depicts the actual logo adopted by the 2016 World Goldpanning Championships committee.